The Crusader 5k will start and end at The High School of St. Thomas More. Run or walk the beautifully paved roads south of the High School of St. Thomas More. This course provides a safe and fast running/walking experience for all participants. 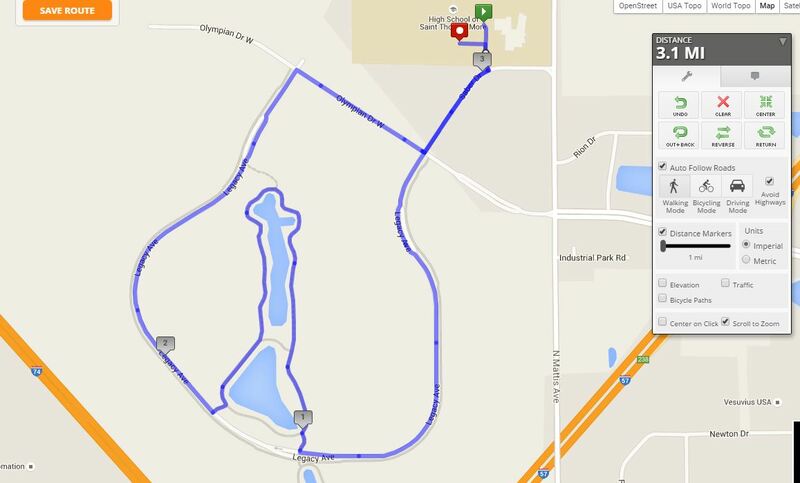 The course is measured as an official 5K and will be professionally chip timed, with several water stops throughout the race. The course will end in the St. Thomas More stadium and prizes will be awarded to the top 3 finishers (male and female) in the following categories: 10 and under, 11-14, 15-19, 20-29, 30-39, 40-49, 50-59, 60 and over.